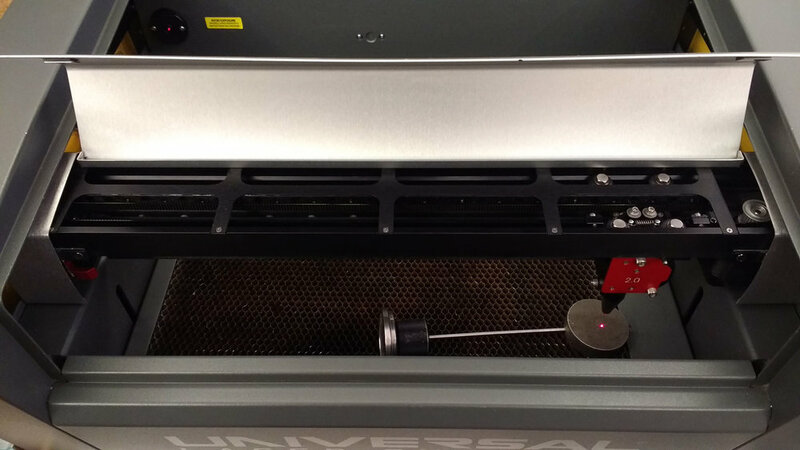 We invest in training our engineers at Universal laser systems (Arizona) – to gain maximum knowledge and understanding of each machine. Our engineers are based all over the UK and provide outstanding support to all our customers, whether in UK or International Schools around the world. With round the clock support – we are proud of our service record in offering best solutions to any issues. Our comprehensive pricing system for service, transport and parts leaves customers knowing there are no hidden costs. Solar Lasers offer best prices on all genuine Universal Laser parts, with discounts if required as part of the service. Processing material can lead to debris within the motion system, wear on the bearings and damage to the belts. This results in a reduction in accuracy and laser power. If you have noticed the power starting to drop or an inconsistent quality it is likely the machine requires a service. How often should I have a service? Service frequency is dependent on the work material & quantity processed. For instance those processing only plastic will require less frequent servicing than those processing wood – especially with high resin content. Do you provide laser training? Yes – As part of the service package we can allocate some time to training. We find this especially useful for some of our educational clients who can have frequent staff changes. Servicing time will vary with the machines condition. It can take anything from 2-7 hours. What is the price of a service? Jo-Anne will ask for any issues with the machine and provide a comprehensive quote for all possible parts that may need replacing. Please note, we do not replace parts without specific authorisation from our customers. 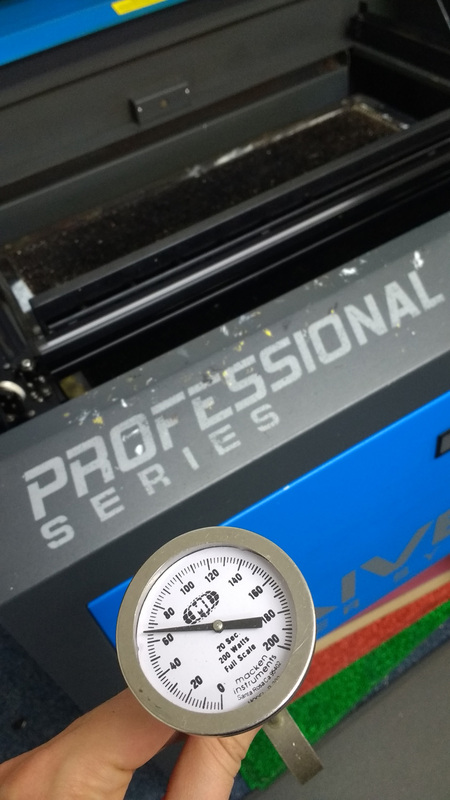 Here are a few pictures we have taken along the way while servicing laser engraving equipment.